Las Vegas Bail Bonds get out of jail 24 hour Bail Bonds service is what we do here at Free Bail Bonds in Las Vegas, NV. A Las Vegas Bail Bond agent’s position is to make sure your experience is stress free and goes as smoothly as possible. With that being said, that is exactly what our bail bondmen strive to do. Our motto is to always care for our clients putting their needs first, one bail bond at a time with quick and efficient service, and we stand by that saying. Our bail bondmen will go the extra mile to ensure the stress is on them, regardless of the circumstance. One of our staff members will be appointing a bail bondsman to assist you with all the necessary proper procedures. They treat every case seriously so try not to worry, instead concentrate on staying focused as we can achieve faster results when we get assistance which will help move things along efficiently. Have you found yourself in a position you did not expect ever to be in? Because we are not only talking about you who is reading this, but also the person you need to be a guardian angel for at this point. Remember…don’t panic. This is where our team of experts step in. Our staff is on call 24/7 to answer any questions, and advise with filling out the paperwork and make important calls to the jail for you. Our company has years of Las Vegas Bail Bonds experience in the Clark County Nevada area so you are in the best of hands. In addition to being friendly, and very knowledgeable in the bail bonds industry, our bail bondsmen work fast. Furthermore as we were mentioning above, it’s best if you can try not to stress because you will be needing to assist when required. At Free Bail Bonds we know you probably have several questions regarding the situation, especially on how to proceed. Below is a quick run down with instructions on how to move forward with getting the bail service process started. A bail bondsman will be asking you to provide as much information as possible. It’s most efficient if you can furnish the inmates full legal name, date of birth, County, City and State in which the person is being held. Along with a booking number and finally what type of charge the arrest was made for. All bail bond service document handling should only take less than 30 minutes once details are in order. We’ll take it from here and do the rest of the servicing for you so try to stay calm. We understand your worry about the charges and how much the fees will be. Going into this be aware that bail could be up to 15% which is non-refundable. For example, if bail is set at $15,000 the agent may ask for $2,250. People can never really prepare themselves for this situation, therefore in conclusion help is on the way. It’s smart to choose a bail bond that will give you peace of mind since this may be your first time dealing with these matters. There are different terms and meanings for the word bail bond, and therefore in choosing a bail bond, you should choose your decision wisely. Selection includes a Recognizance Release Bond, Surety Bond, Cash Bail Bonds, a Property Bond and Immigration Bail Bonds. These are the most common of all Vegas bail bond types. 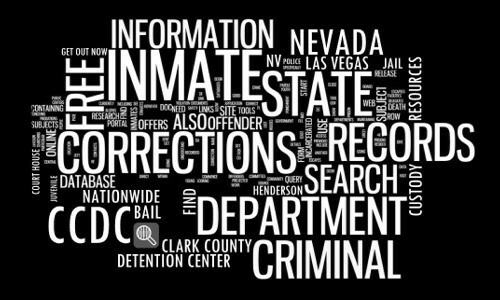 All of which our Las Vegas Bail Bond service offers. We will explain more in full detail once you call and talk with a bail bondsman. Possible financing available upon qualifications of the applicant. In addition to our services we also offer free bond delivery and a complimentary ride home in Las Vegas. Driving directions will point you to Free Bail Bonds. Look for the orange Bail Bonds sign. You will have then reached your destination to our office. 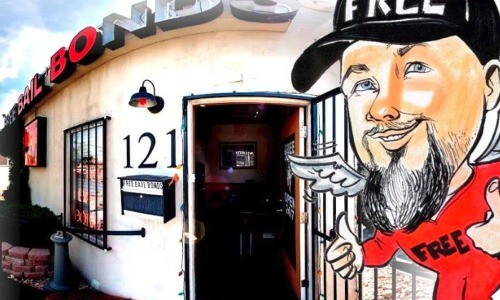 Ask for Las Vegas Bail Bondsman Bo Free when you arrive. Our Free Bail Bonds staff have an outstanding reputation for caring and helping all involved until the accused is safely home.